Build your dream home in sought after Roswell. Great location in Milton school district of Roswell. Close to Shopping & Dining. NO HOA. 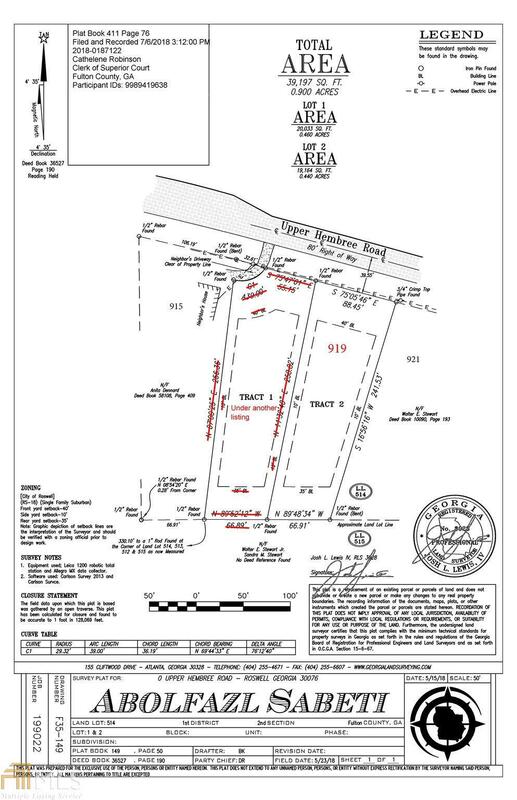 Western Lot #1 (917 Hembree Rd) is also available for sale.